Published with GeoNova Publishing. With 48 fact-filled cards per package, Knowledge Cards are a great source of condensed information--all in a deck the size of a pack of playing cards. Size: 3 1/4 x 4." ISBN 978-0-7649-5052-0. Receding glaciers, shrinking ice caps, weather anomalies, species extinctions the consequences of global warming can no longer be ignored. This quiz deck of 48 cards tests your knowledge of climate change, its causes, and possible ways we can turn back the clock to restore a sustainable global ecosystem. 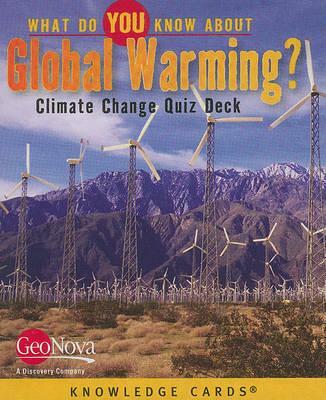 Brought to you by GeoNova, a Discovery Channel affiliate devoted to fostering an understanding of the natural world, What Do You Know About Global Warming? makes an edifying and entertaining challenge among friends or a great way to bone up on our fragile, spinning orb on your own.